Digital and Laser Imaging | Mail-O-Matic Services Ltd.
Mail-O-Matic provides professional-grade digital and laser images that will help make your next direct marketing campaign stand out. 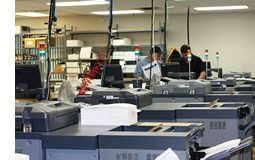 Our services can produce various-sized printing and commercial graphics you require, including black & white or color laser printing. It is the perfect solution you require for your product, service, business or direct mailing campaign. We have many different digital imaging and laser printing services. Ask us which is best suited for your project. Make your images look their best and convert your images into vibrant hard copies for your marketing campaign. Mail-O-Matic will help you clean up your images with color correction, image manipulation, and various assortments of special effects. We specialize in complex variable layouts which includes personalized signatures, data-keyed graphics, and modular copy blocks. Signatures, messages and special offers can be linked to specific addresses, data codes, sales territories, and more. Based on evaluation of data criteria, program-controlled assembly of modular copy can be sent to each recipient a truly personalized version. 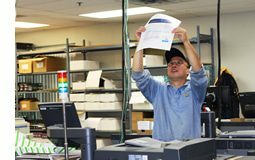 We can print bar coding – either standard and fully custom (UPC-A, 3 of 9, 2 of 5, plus Custom Symbology) – for accurate response tracking. Full copy layout services from your rough drafts. Scanning and digital correction of signatures, logos, and photographs for B/W laser imaging. Creation of charts, maps and other graphics for placement within and around copy. Cut-Sheet, Duplex Laser Imaging, up to 11 x 17. Continuous Form imaging, Simplex, Roll to Roll and Roll to Sheet – with the option of cutting, slitting and/or trimming the final output. 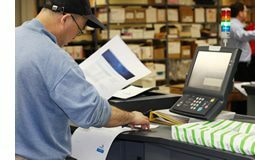 You are sure to answer your printing questions with our wide array of digital and laser imaging services.